We've made some creations on the themes of sexual empowerment and anti-oppression that we want to share with the world! Feel free to print as many of these as you'd like and distribute them wherever. Enjoy! 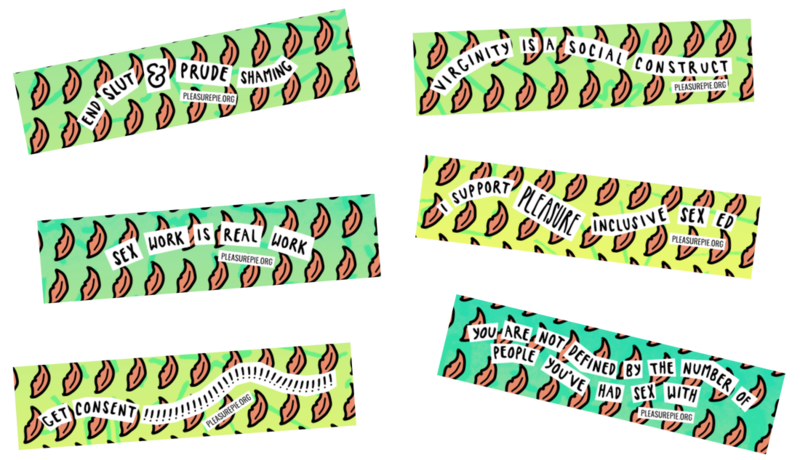 These colorful bookmarks with phrases about consent and sexual empowerment are great for event goodie bags, gifts for bookish friends, etc. We recommend printing them double sided on card stock. These are a fun activity for relaxing at home, coloring while chatting with friends, or an easy activity to have at an event. Make visible the widespread disapproval of the Trump administration by sharing this concise sign. Hand them out in front of a government building! Bring a stack to give out at a social justice event! Put one in your window at home facing the street! The possibilities are endless.